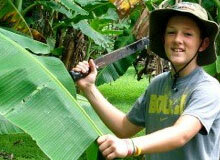 Going Bananas offers the best quality of banana plant material. 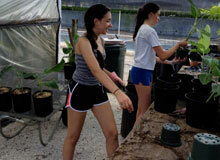 We grow all the banana plants ourselves and oversee every aspect of the growing, plant selection and shipping. 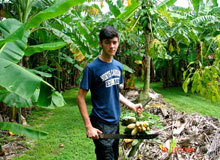 Our nursery/grove is exclusively devoted to growing nearly multiple varieties of banana plants. Because we specialize in these plants only, we provide our customers the very best quality of plant material at economical prices with unbeatable and friendly service. We grow the plants ourselves and oversee every aspect of the growing, plant selection, and shipping. We are certain you will be happy with your plants once you follow the simple growing instructions. 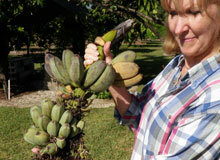 Banana varieties can be purchased at our nursery location, along with banana blend fertilizer. Mail order items are limited to banana plants and corms. (We do not ship fertilizer, trees or full sized banana plants.) The list of varieties and prices will be in effect from January through December 2019. Please note changes this year on discontinued & limited varieties, as stock items have been adjusted accordingly to popularity and previous demands. Any new additions can be obtained by inquiry, however new selections and many of the rare and exotic varieties are limited in number so it is a good idea to mention any alternate varieties that would be suitable for substitution in the event the one you request is not available.